An Alameda County, Calif., jury on Tuesday found software developer Hans Reiser liable in the wrongful death suit against him and ordered him to pay his children $60 million. That means any proceeds the imprisoned Reiser should gain from his software projects will now go toward paying his children. His son and daughter, ages 11 and 12, have been living in Russia after Reiser killed his wife -- their mother -- and her body was found in a shallow grave in the Oakland Hills, Calif. The children's grandmother, Irina Sharanova, sued their father and they were represented pro bono by Arturo Gonzalez of Morrison & Foerster of San Francisco. Gonzalez had asked for $10 million for each child, and $5 million in punitive damages. Instead, the jury came back with $25 million per child, and $10 million punitive. "We're very pleased that the jury agreed with the theme of our case -- Nina was a wonderful person and a great mother," said González in a statement. "Taking her life has caused immense harm to everyone who knew Nina, especially her children." 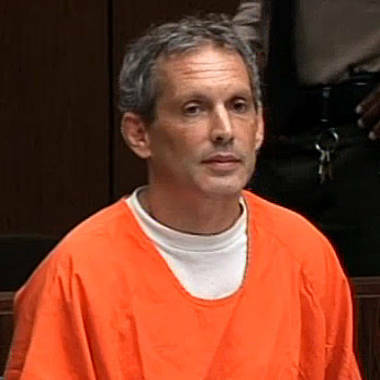 Reiser, convicted in 2008 of murdering his wife, Nina Reiser, two years earlier, acted as his own lawyer in the civil trial, often rambling and crying in his prison garb before the Hayward jury. His defense essentially was that he killed his wife to protect his children from her. Hans Reiser was found guilty of wrongful death on Tuesday. The trial was brief; it began last Wednesday. And the jury came back with a verdict after about three hours of deliberation. This civil trial follows Reisers' criminal trial, where his legal team unsuccessfully argued a completely different story: that his wife was not dead, but had abandoned her children to sneak off to Russia. He was sentenced to spend 15 years to life in prison.